Rise of Wire Fraud! What’s Happening? 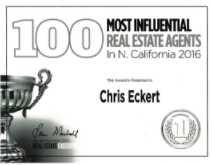 The Chris Eckert Team is careful to protect you from wire fraud. Inquire before you Wire, meaning, as a buyer who is going to wire in their earnest money deposit should NEVER rely on an email that they received with wire instructions as it can be “hacked”. Hackers are very savvy and they will recreate emails from the escrow officer or lender to appear very authentic. Our title company does not accept any wire instructions over email from a seller. This information is collected at the time they are signing their closing paperwork. If the seller(s) need to make a change, they must visit a local branch, present ID and complete a NEW disbursement form. No Exceptions! You should always inquire the wire instructions are legitimate by phone with the lender or escrow officer after receiving the email and never deviate from this detail.